Following Vancouver City Mayor Gregor Robertson’s critical comments about the giant screen and also the recent fiery criticisms received by PavCo Minister Pat Bell on the floor of the BC Legislative Assembly, in a letter sent November 21, 2011, BC Premier Christy Clark also confirms receiving demands that the giant screen be removed and states that citizens’ “feedback and requests will be included in any related discussions”. Overwhelming rejection of PavCo’s unscrupulous actions continues – The citizen’s protest campaign over the reckless erection of a giant video screen in Yaletown at Terry Fox Plaza in front of hundreds of glass residential homes has been picked up by Chinese language website Goldy News, signalling a further dissemination of the protest movement across languages, further helping to unite Vancouver City residents in their demand for the immediate removal of the giant screen. PavCo Minister says that breaking Vancouver City By-laws is a “successful conclusion”?? 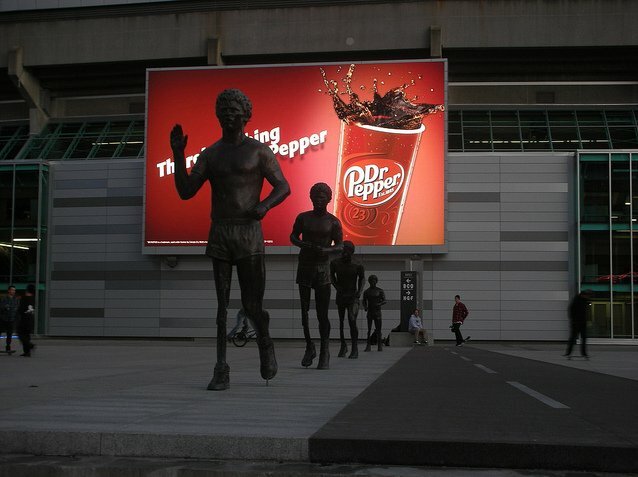 the giant video screen at Terry Fox Plaza MUST BE TAKEN DOWN NOW! MLA tells Minister Pat Bell in BC Legislative Assembly that the giant screen “needs to be taken down now”! See here below a letter and transcript record of Vancouver West End MLA Spencer Chandra Herbert standing up for the rights of local residents in Vancouver in the BC Legislative Assembly by asking Minister Pat Bell to respect Vancouver City By-laws and by asking for the immediate removal of the giant screen at Terry Fox Plaza. Please be sure to take immediate action by 1. having MLA Mary McNeil’s office call you, and 2. by emailing Minister Pat Bell’s office with your complaint – Contact them again, even if you’ve done it before. You’ve already contacted them twice? Do it a third time! They must be told firmly that you are expecting PavCo and the Province to comply with the City Signage By-laws that were put in place to protect citizens from exactly this type of advertising harassment. In the following story appearing in The Province newspaper, PavCo and Telus further demonstrate how willing they are to continue betraying the public trust and how comfortable they are violating City of Vancouver by-laws. Thank you for your direct message on Twitter. To those paying attention however, it would sound as though your office is seeking concessions regarding two instances of impermissible misconduct by PavCo: 1. non-compliance with City by-laws and 2. contempt regarding the health and well-being of this community. Please know in the strongest possible terms that these are Non-Negotiable. This abusive giant screen must be taken down immediately and relocated to a venue where it is not directly harassing an entire residential glass community. Reduction of hours and immeasurable-and-ambiguous ‘dimming’ are not at all what this community has been demanding. Perhaps your office has forgotten that this is a residential glass neighbourhood and that this oversized abomination is at point blank range from our children’s bedrooms. Any reasonable observer will conclude that if PavCo had wanted less light in our homes they would have bought a smaller screen and they would have pointed it in a different direction. This abusive giant screen must be taken down immediately and relocated to a venue where it is not directly harassing an entire residential glass community. By allowing your office to be placated by a supposed promise of ‘reduced hours’, you are essentially accepting that PavCo decide when our families can enjoy their glass homes. Recall that if the giant screen remains in place, our community will forever remain hostage to this billboard assault on ‘main event nights’, with PavCo operating the screen until whatever random hour that pleases their cash-abundant advertisers. Notice also that this concept put forward by PavCo that a reduction of operating hours on some nights ‘solves the issue’ is ill-formed as it suggests that continued harassment of this community and disregard for City by-laws is perfectly acceptable so long as it's not perpetuated all of the time. This abusive giant screen must be taken down immediately and relocated to a venue where it is not directly harassing an entire residential glass community. As the provincial representative of this community, we will expect that your office strongly voice our demands to Minister Bell and to Premier Clark; we are counting on your strong support of this community and of our demands on this non-negotiable matter. This abusive giant screen must be taken down and relocated to a venue where it is not directly harassing an entire residential glass community. In this, Geoff Olson’s part-2 follow-up editorial column (please also see part-1 on this blog), Telus is named-and-shamed for its continued inexcusable giant-flash-advertising assault on the local residential glass community, and also for its complicity with PavCo in demonstrating contempt for Vancouver City By-laws. Take the Screen Down - How Would You Feel? Minister Bell, your response unacceptable! How does Pavco come to be above the law? Just relocate the screen - Be reasonable! ...BC PavCo CEO Warren Buckley was legally required to provide documents proving the ownership of the giant video screen at Terry Fox Plaza. Under a Freedom of Information Act request submitted by citizen’s group 'TtGSDN', PavCo’s deadline to confirm the identity of the screen’s true owner/operator was January 23, 2012. 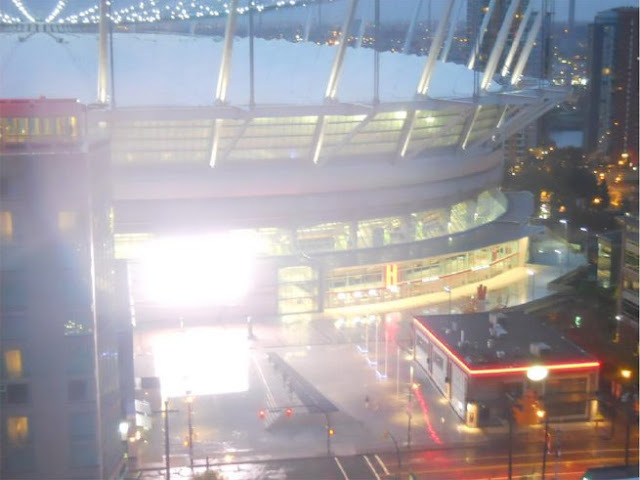 Remarkably, in December 2011 Deputy Minister of JTI Dana Hayden told MLA Spencer Chandra Herbert that Telus Corporation is the true owner and operator of all three outdoor screens at BC Place Stadium. Interestingly, neither Telus nor PavCo have since asked the press for a retraction of media reports suggesting the same. Will Warren Buckley try to continue hiding these documents from the public despite repeated attempts by the media and the public to acquire them? The Office of the Information & Privacy Commissioner for British Columbia is now investigating PavCo's non-compliance with the Freedom of Information Act. Over a year ago the BC Pavilion Corp (PavCo) installed three giant outdoor video billboards at BC Place in very close proximity to, and directly facing, Vancouver's densest group of glass residential buildings, thereby gravely affecting hundreds of families who previously lived peacefully in their homes. Despite repeated calls from neighbourhood residents that the three flashing screens be removed, PavCo has done little to address this continued assault on the well-being of these families. 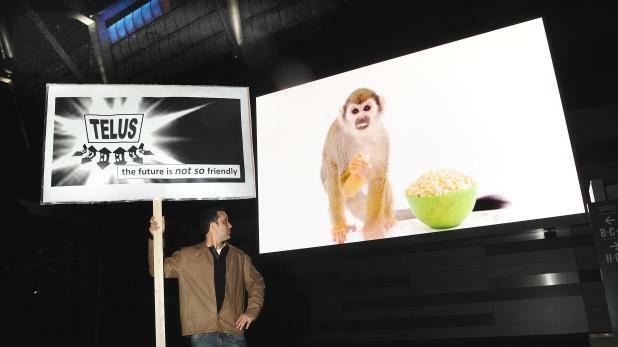 It is unacceptable that an enormous group of families be made to suffer in their homes - held captive to the blight of these giant flashing screens within their primary place of residence (where some raise their children and others simply seek respite) - so that PavCo can continue to earn advertising revenues. Surely there is a more responsible way to achieve PavCo's goals? As you may know, following PavCo's operational changes to the screens, Mayor Gregor Robertson and all ten City Councillors unanimously demonstrated their on-going grave concerns for residents' well-being in early 2012 and requested that PavCo remove the screens in compliance with Vancouver city bylaws. Recall that the screens in question are ten times the size deemed appropriate under the city bylaw, the applicable standard for determining acceptable conditions of liveability within this community. Many other concerned community leaders and officials who have been alarmed by PavCo's actions have also insisted that the screens facing families' homes be taken down. These include MLA Spencer Chandra Herbert, City Park Commissioner Constance Barnes, as well as the Co-Chairs of the False Creek Residents Association, to name a few. Please also count my voice amongst the growing number of citizens and officials who are shocked at PavCo's continued operation of the three giant video screens outside BC Place. Accordingly, I ask that you sincerely reconsider the mistakes of the previous PavCo leadership and immediately begin the responsible action of planning for the removal of these intolerable screens. Families can't be made to bear the continued assault of these flashing giant billboards any longer.